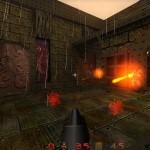 After playing Doom for a two years straight Quake was an interesting experience: on a pure gameplay level, the game didn’t feel as refined! The weapons were a bit all over the place, and they didn’t have as big advantages/disadvantages against certain enemies that I’d come to appreciate. None of the monsters had the distinct weaknesses or complementary behaviors, either, which was one of the properties that had made Doom so great. (The Zombies and the Shambler were obvious efforts, but ultimately fell short.) So for all intents and purposes, Quake shouldn’t have been much fun to edit for – the single-player campaign just felt a bit too hacked together and premature. But of course there was more to it. And Quake had internet multiplayer. And those features made all the difference. I used Quest to make my maps. I don’t remember how easily the whole three-dimensional thing came to me, having dealt with Doom’s 2 1/2D engine for several years. Presumably, working with the 3D Construction Kit had prepared me to make the jump to 6 degrees of freedom relatively easily – all the old Freescape vector environments had been fully 3D. 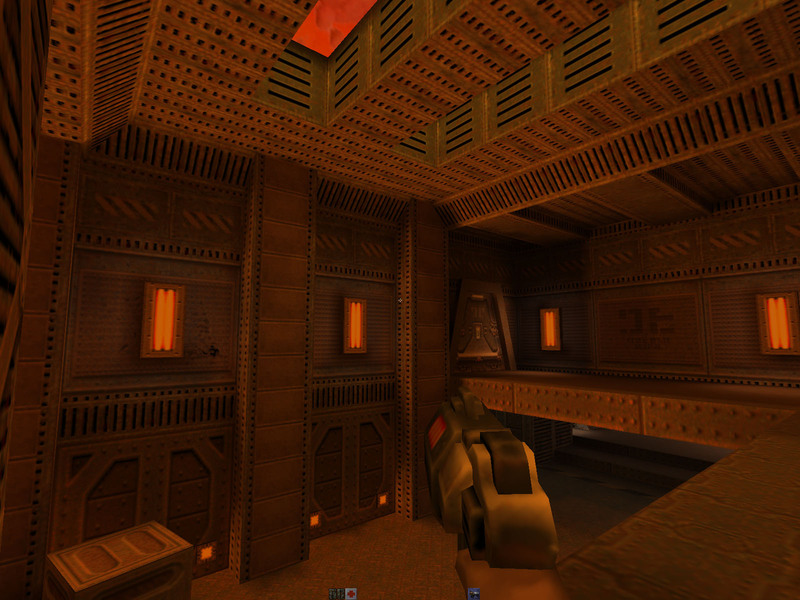 But if you look at my first finished Quake level, Armageddon 1, you can definitely see the Doom mindset shine through. The map is an essentially flat layout, with a few vertical areas thrown in to take “advantage” of what Quake had to offer. 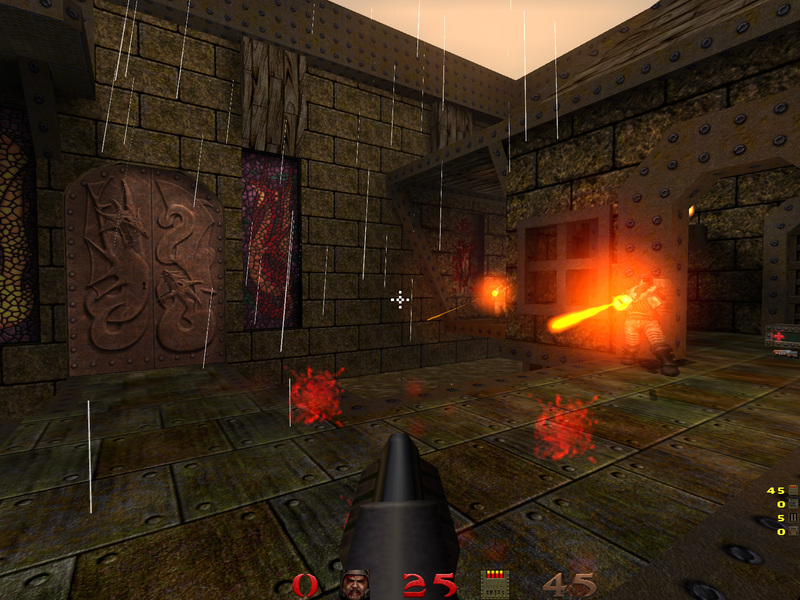 But hey, the first Quake editors where very rudimentary, and we had to get used to 3D in the first place. 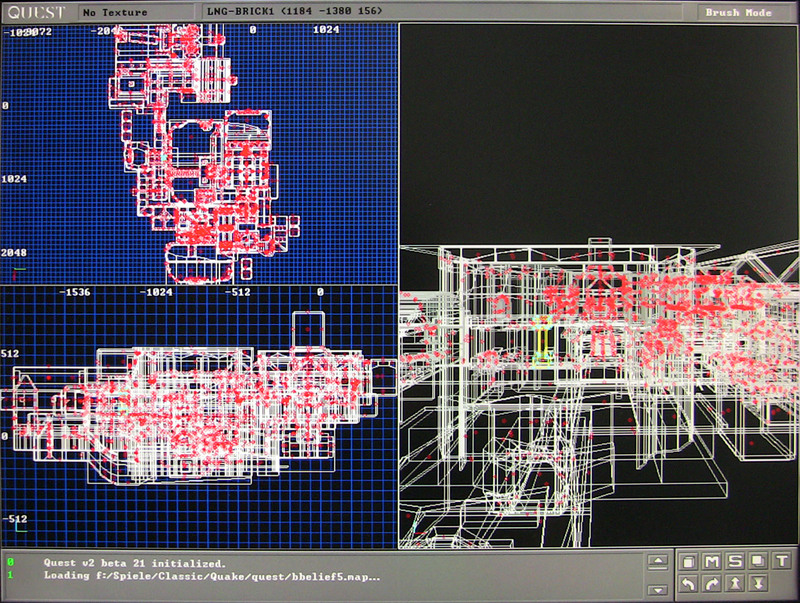 Quest (my level editor of choice), was a great little tool, except that it had no shaded 3D preview (wireframe only!) and that texture alignment wasn’t supported when I made the early levels – I had to open the .map file in a text editor and type in the texture offsets manually. Getting used to Quake editing took the community a while. 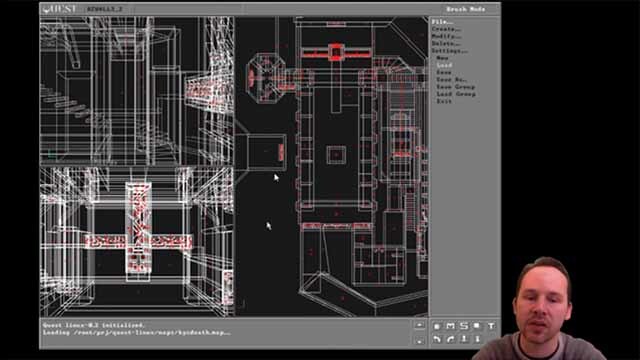 The level of complexity had increased ten-fold, scaring off the casual level makers, those who just couldn’t invest the time that was required, and those who just didn’t think that Quake was fun enough to edit for (two of the most prominent victims were The Innocent Crew of Denis and Thomas Moeller, who barely got beyond releasing a few mini levels and level props). Most people were focusing on Deathmatch mods and levels in the first place. When good SP levels did arrive, though, they were diligently getting tracked by places like Matt Sefton’s SPQ Heaven. I had known very early on that I wanted to make a single-player episode for Quake, it just seemed the logical thing to do. What I hadn’t realized was how much time that effort would take. I labored over 8 months on 8 levels, and got some help along the way, as well. The results were well worth it, though! You can read up on the details in the 10th Anniversary blog post (which is currently offline) – Beyond Belief is the reason I am working in the industry today (a possibility that just started dawning on me as I was in the middle of making the episode). When Quake 2 was released it addressed a whole bunch of the single-player issues that Quake had had, and was more thematically consistent, too. But I had already been hired by Ritual Entertainment at that point and was mostly killing time, waiting for my US visa to get approved. I made a couple of Quake 2 MP maps (Arma5 and Arma5CTF) and started a couple of single-player maps for a mini campaign I was going to release with Iikka Keranen. But that project was never finished – I guess I was pretty burned out. 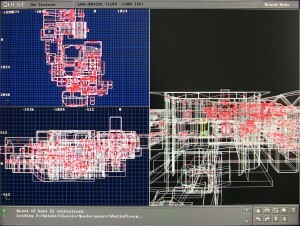 Obviously I never got into Quake 3 and 4 editing because at that point I was already working in the industry on competing projects 🙂 I’ve occasionally started making a map for later Quake games, but never finished those efforts. 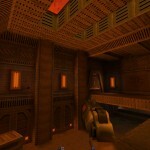 The Quake period, especially Quake 1, was a great time. The mod community was coming into its own, internet multiplayer was taking off, the first national LAN parties were starting to emerge, and speed-running took its first (very quick) steps. 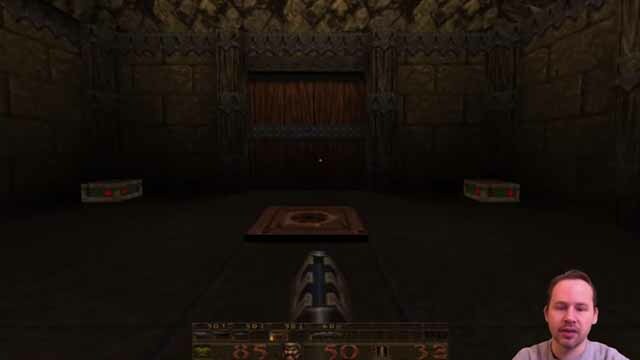 I’m dedicating this page to the Quake community of old – everybody of the old Ocrana and Braindead clans, all the Quake level designers, and the speedrunners that took Quake demo recording to a whole new level.